They’re here! Our Nutrish-sponsored hand-painted dog bowls from BarkWorld! We feed our dogs a combo of raw beef, deer bones and the Pacific Stream flavor of Taste of the Wild grain-free kibble (on the advice of a holistic vet). I had no plans to change up their diet, but oh my, did they go crazy for the free sample of Nutrish Zero Grain Turkey and Potato. Leo even dug the empty package out of the trash, ran into the backyard with it, and licked it clean (then tore it up). He doesn’t do that with Taste of the Wild, and we frequently leave the empty bag lying around before we throw it away. That’s a lot of love for Nutrish, Leo, and very cool bowls. Those bowls are awesome! It’s always good to have some irresistible treats 🙂 I made my own beef jerky this week and it’s going down well. We don’t get Nutrish in New Zealand. Beautiful doggies. 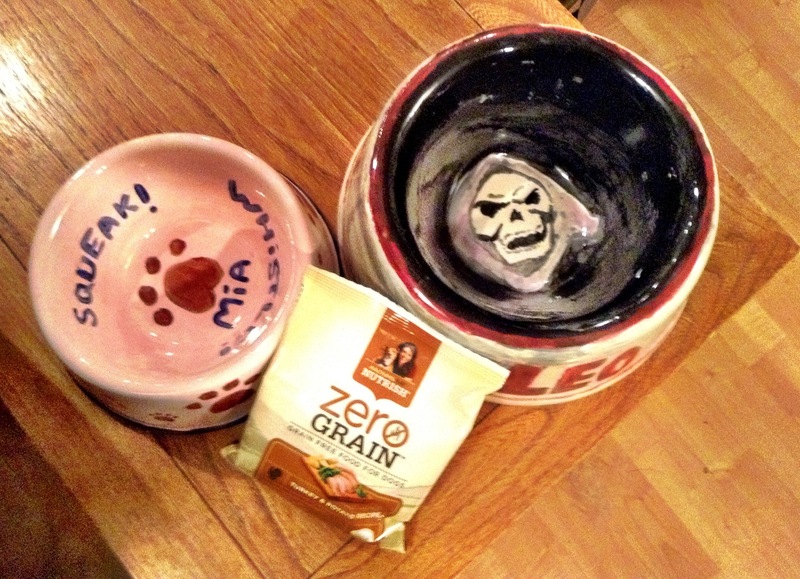 Love the bowls…you might consider keeping those treats around for special occasions…woof! Looks like a good meal! LOVE your bowls! I got to the room to late to make my own bowl. 😦 Those are way cool. Fun dishes! We are ‘Taste of the Wild’ fans but might have to give this a try. Looks like fun eating at your house. Thanks! 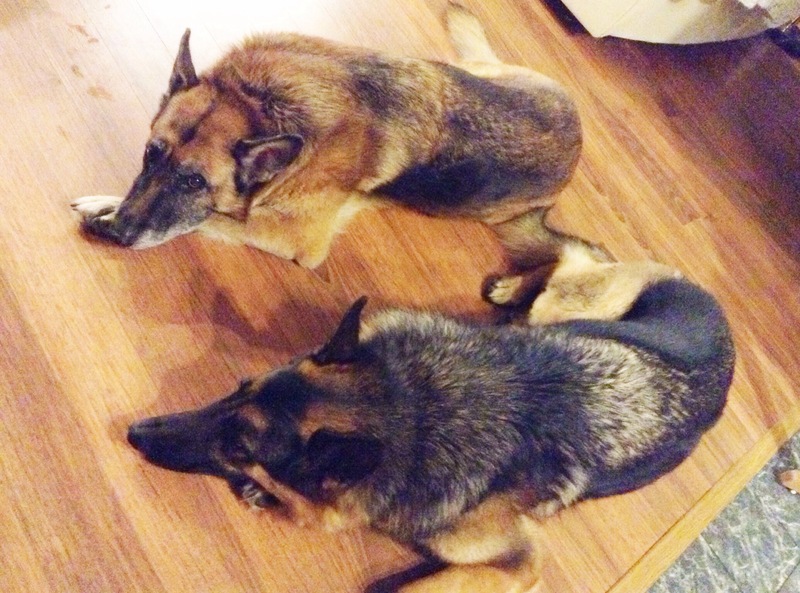 We love having fellow shepherd enthusiasts stop by! Those are really neat bowls!! Leo is a big boy! I hope yours comes soon.